Julie, my church youth leader in high school, was such a mentor. She was fun. She could laugh at herself, even at her few extra pounds and love lost on what seemed a never-ending string of almost boyfriends. She was wise beyond her years, coaching me to focus on my studies (unless there was something more interesting going on), and to wear the skirts with the longer hemlines when I came to church. She listened as I bemoaned the adolescent stresses of juggling friends, dates, grades and rapidly approaching college choices. I went to her for advice. We laughed over root beers and burgers. She told me to memorize my Bible verses and not lie to my parents. She was a good mentor. When I became invested in the business world, I had many mentors. One gentleman, a vice president in our multi-million dollar company, allowed me to deliver a presentation to him when I’d only been there a few months, and then praised my efforts. He nurtured me, a brand new kid on the block who was a little unsure, and gave me the gift of confidence in myself early in my career. He would take any of us to task when we didn’t meet expectations because he held a high standard. He didn’t swear in front of women or allow the other guys to do so. He said it wasn’t respectful. He reminded me of my granddad. He cared about his employees and gave people a second chance. He was a good mentor. Good mentors are priceless. These positive mentorships fell into my lap, I didn’t do much to make them happen, I kind of just showed up and was lucky. Today, that’s not how it works. You have to go find a mentor for yourself. Then, you have to persuade them that you are worth their mind, time and dime. As I grew in my career and experience, I learned that earning the time of a valued mentor meant that I needed to present what I wanted in an articulate, well thought-out way. I needed to do my homework and have my goals defined before I could ask the favor of someone’s time with me. No longer was it the high school youth leader, or the kind, grandfatherly mentor who had benevolence towards the new hire. These mentors-to-be were busy, hyper-focused people with ROIs and bottom lines to manage and multiply. 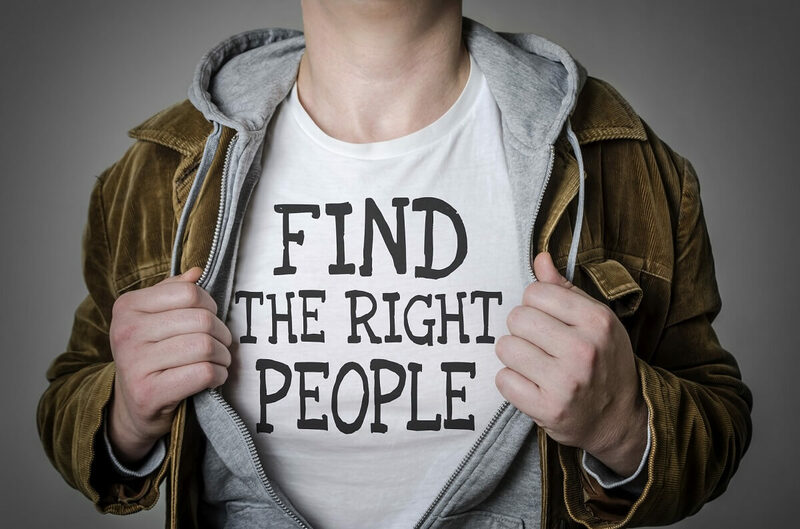 As you go about finding a mentor, the most important preparation you can do is to know what you want and need. If you prepare a bit in advance, you have a great chance of creating a mentoring relationship that is a terrific win for you. Follow these three smart strategies and you’ll present yourself as a mentee any mentor would be glad to invest in. Before you even begin to search, you need to know, WHAT it is that you need and want for yourself. Alice Korngold, the CEO of Korgold Consulting, has mentored a lot of individuals, from students to corporate executives. In a Fast Company article, she suggests that the mentee needs to analyze what they are trying to accomplish with their advisor, and one way is to think in categories, such as increasing professional networks, guidance, and/or introductions to others. Categories are a good way to start. Do I want help with a general business challenge, like laying out a career plan? Do I need something very specific, like how I should manage my system’s inventory day to day, or if I should sell my goods and services online? People can’t help you, and will sidestep helping you, if they don’t know what you need from them. I encourage you to start by putting it in black and white. It doesn’t have to be fancy or profound. Don’t go the Jerry Maguire route of an umpteen-page mission statement. It’s just something concrete that lists what you want to focus on. Many years ago, as a first time author seeking to learn how to write my first book, I wrote my own mini-mission statement. It was pretty simple and yet it framed WHAT my project was, thus defining my need. That was it, my beacon of light as I began to talk with possible mentors. It defined what I wanted as my outcome. If I had just said, “I want to be a good writer,” I’d probably still be looking. That was too broad. I wouldn’t have addressed important questions like — What genre did I want to write? How would I get my book out into the world? How long would I work on the creation of the book? What’s worse than a mentee who shows up for that first meeting expecting a free download of all the mentor’s knowledge base, an A-Z explanation of the subject matter, and maybe even their coveted contact list? 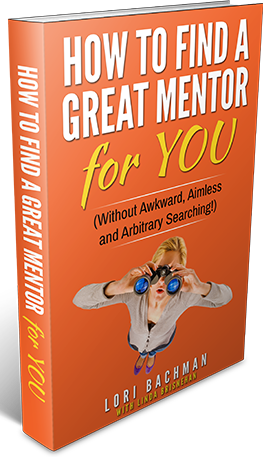 An uneducated, unprepared, “looking for freebies” mentee is anathema to a willing mentor. Show up in your potential mentor’s office, mini-mission statement in hand, full of preliminary knowledge about your subject or project. You’ve taken the time to read ahead, talk to others, and it shows. It illustrates not only proactive preparation but also respect for your mentor’s time and trust. You greatly increase your chance of a good impression on a potential mentor by clarifying what you want and need in advance.